Hey there! Happy new year! 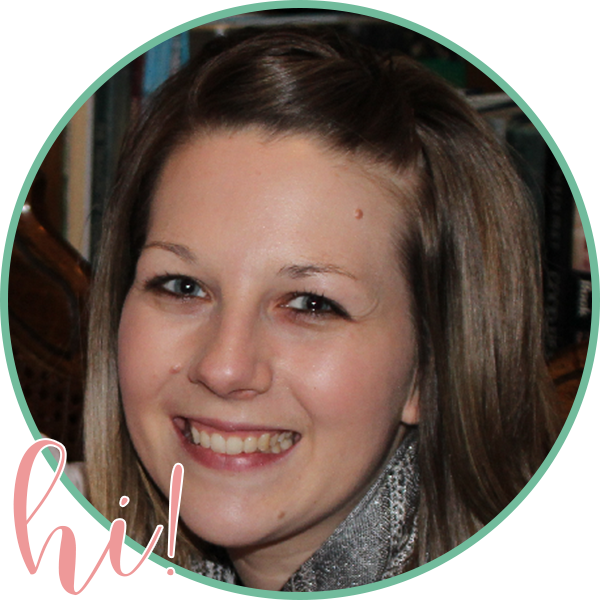 I'm popping in quickly to share an idea that I came up with this week! I used it with my daughter here at home (she's almost 5), and I think it would be a fun center activity! I bought these library pockets on Amazon a couple years ago because I wanted to come up with an activity for them. However, they've been collecting dust. I've been doing some re-organization of my materials and stumbled upon them last week. Soon after, I came up with the idea of CVC word pockets! My daughter LOVES using jumbo popsicle sticks in art projects, and I discovered that three of them would fit perfectly across the inside of the pockets. 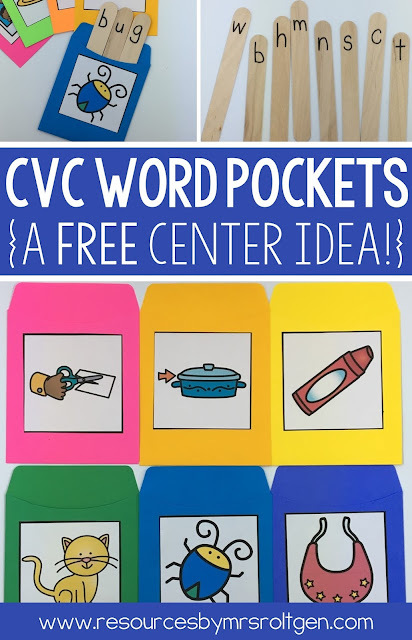 To make the CVC word pocket, you will simply print out the CVC word pictures onto sticker paper, cut them out, and stick them to the front of the pocket. You could write the CVC word on the pocket if you want to provide a model for your students, too. 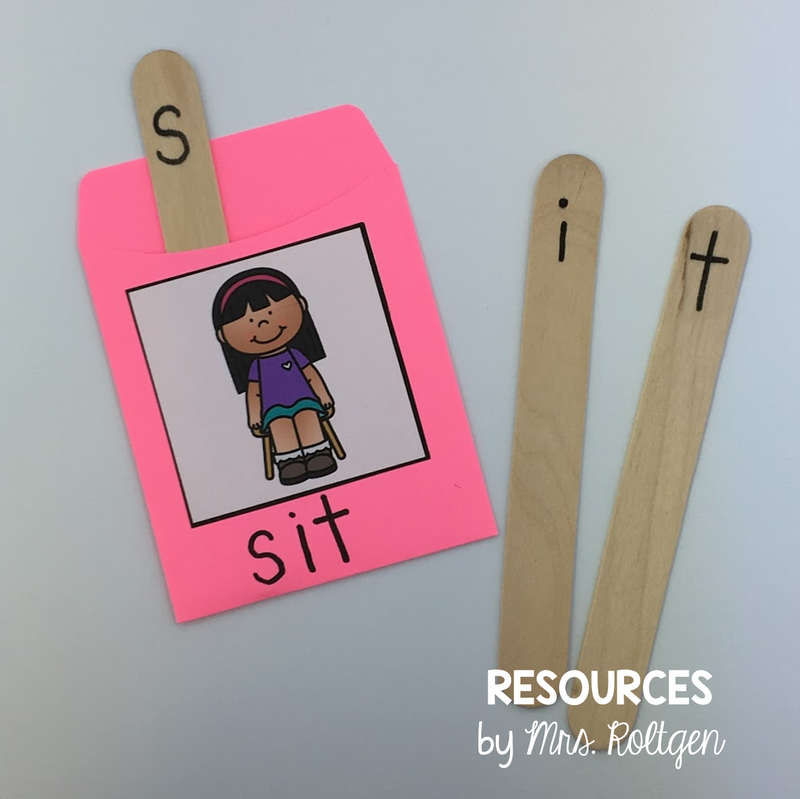 Then, write one letter on each of the popsicle sticks! 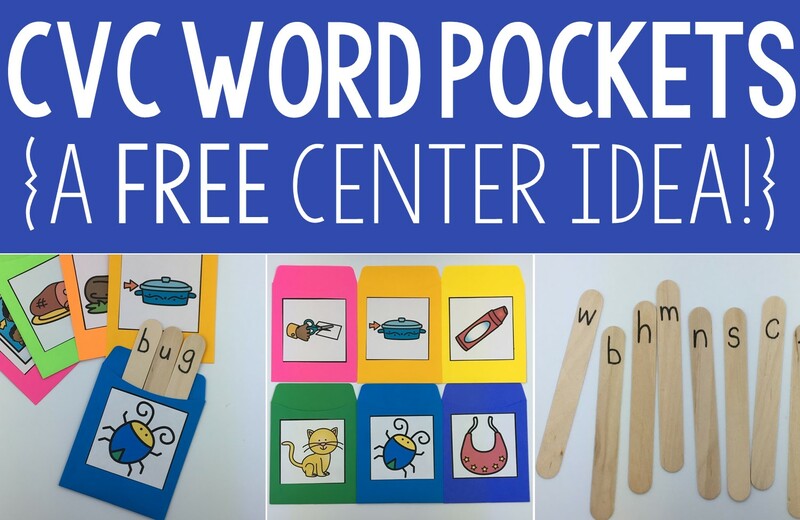 These would work great as a literacy center or morning work tub activity! I can't attest to the durability of the pockets after classroom use, but they would be fun for a while at least! I've also seen plastic library pockets that might last longer, but I don't know if the pictures would stick to them well. 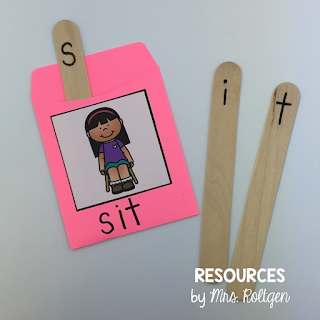 You can download this free activity by clicking here or on the picture below. Enjoy!